Posted on September 23, 2015 by MD Posted in News . 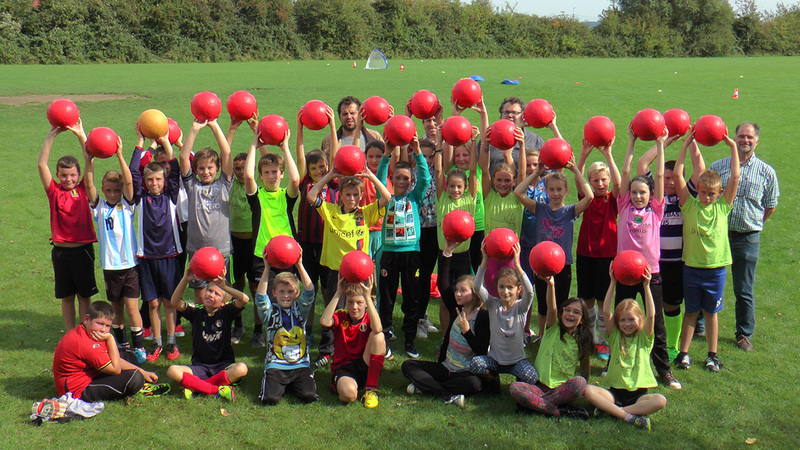 International Peace Day (Monday 21st September) kicked off the Peace Fields Projects around the world when local primary school children in Messines, Belgium, site of the 1914 Christmas Truces, played games of football with the Peace Poppy Ball. Each poppy ball will be distributed to Peace Fields Projects in countries around the world. The poppy ball commemorates the First World War and celebrates peace through play. 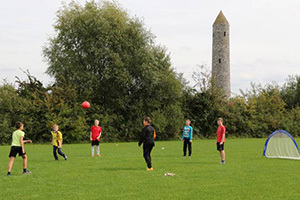 The Peace Day Celebration was facilitated by the Peace Village, Messines, Flanders Peace Fields and National Children’s Football Alliance with International Children’s Football Alliance partners One World Play Project. Special guests from the Commonwealth War Graves Commission and the USA Embasy to Belgium attended the event. INTERNATIONAL PEACE DAY LAUNCHES PEACE FIELDS PROJECTS .